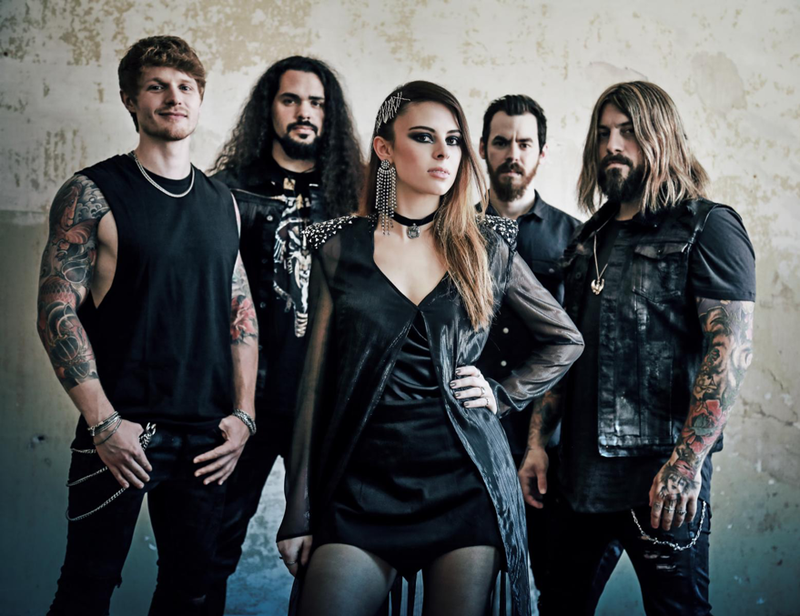 BEYOND THE BLACK - Release Official Music Video For "Million Lightyears"! Just one month remains until BEYOND THE BLACK will release their brand-new album Heart Of The Hurricane out on August 31 via Napalm Records (GSA via Airforce1). BEYOND THE BLACK celebrate a true story of success!Their debut album Songs Of Love And Death (2015) immediately scored #12 on the German album charts. Only one year later their latest release, Lost In Forever (2016) stormed the charts again and a top 5 ranking catapulted the band even further forward! We can't wait for their promising new release Heart Of The Hurricane! Today the band reveals their official music video for the song "Million Lightyears". With this heartfelt and powerful song about being stranded away from oneself and each other, the vocal duo of BEYOND THE BLACK shine in the new video for "Million Lightyears"! Dive into "Million Lightyears" HERE! BEYOND THE BLACK is pure symphonic metal full of energy, straightforward and without any compromises! Their engines are hot, and roaring straight into the Heart Of The Hurricane. The title of the third album is not just a catchy phrase, it's a promise. It's the result of two years of hard work skyrocketing the band to the next level. Pre-order Heart Of The Hurricane HERE! Check out the official lyric video for the first single "Heart Of The Hurricane" HERE! Check out the second single "My God Is Dead" HERE!